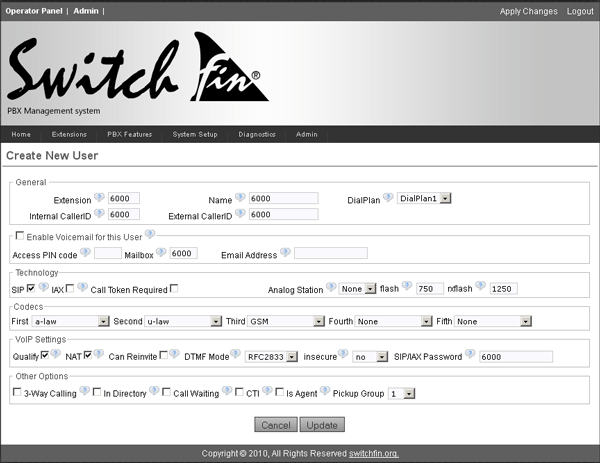 Last month we have included the home automation extensions in the Switchfin distro. Let's describe shortly how it can be configured. To check the state of given WLRR unit please enter the following command. Note that WLRR has local button for toggling of the relay state. The command below is retrieving the correct current state. Thanks to Jason we got home automation integrated in the GUI. Let's describe how one can setup a simple IVR (DTMF control) using the two WLRR to control the Air Conditioner and the Cooker. 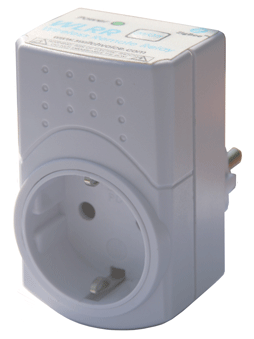 If you have WLTC inserted in your IP02/IP08 and two WLRR end devices plugged in the mains socket you will get them automatically recognized by the GUI. Now Italian language is added to the above. Thanks go to Amleto Rostellato. In a typical alarm system scenario there are numerous alarm panels spread in a different armed premises. Those premises are often spread in a very different geographical locations within a town or even country. The best practice is to collect all the 'alarm events' from all alarm panels in a single central station. So the question is what is the best communication media and protocol used for this. Ademco which become de-facto a standard for this kind of alarm panel <-> central station communication. It uses based on a sequence of DTMF tones with handshake and a control sum incorporated. To test please build Switchfin with AlarmSender enabled in the Switchfin menuconfig. > AlarmSender: Protocol ademco contact ID determined ! AlarmSender: Sending DTMF digits successful !! > AlarmSender: Ademco Contact ID sent successfully ! listening on the phone_number side. The message is actually the last 15 digits. > AlarmMonitoring: Detected format ADEMCO_CONTACT_ID. This open the door for a few interesting applications based on IP0x as a component in the smart alarm systems. WLTC support was added in Switchfin trunk. intended to be used as home automation controller. capable to control 220V/16A Appliance. current senses, light switches etc. The technology is 6LowPAN enabled. Let's make a dedicated sub forum for Home Automation. If you compile latest Switchfin with GSM1 support you don't have to modify config files anymore. The SIM pin number can be entered in the GUI: System Setup -> Configure Hardware. The new addition is due to Jason!